Avio Delta is a growing Sofia based Air Carrier, providing charter flights to private and business travelers. Our company is established to support the increasing demand for fast and comfortable air transportation between any points in Europe and the Mediterranean. Our business charter service is a combination of advanced technologies in the aviation operations and management, highly efficient new fleet with most luxurious features. Our business is established by a group of private investors and is operated by experienced professionals, co-operating in partnership with well known industry leaders. The company is economically and operationally related to AvconJet AG, Austria, a benchmark for the business aviation services. Our policy is to provide the community with excellent service and strong commitment to its safety and clean environment. 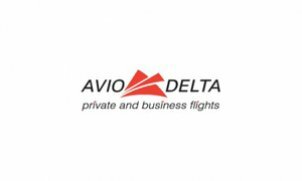 Operating since 2005, Avio Delta is constantly increasing its range of travel solutions, services and aircrafts for private flights. We serve most possible destinations on demand - 24 hours per day, 7 days a week, offering on the board of our planes 4 to 8 comfortable business seats, catering and extended customer’s care. Today Avio Delta is operating two main services Jet + and Link +. Both have separate fleets of aircrafts and are focused to meet the requests from various customer groups. Jet + is a fast medium range business jet charter service, a perfect private solution between stretched luxury jets, newest aviation technology and costs efficient business class flights. The service is operating all over Europe and the Mediterranean, connecting to and from any point within the region also including the services provided by Avio Delta partners. The fleet is based on Cessna Citation Jets 1+ and 2+, all newly delivered to the operator in 2007-2008. Link + is a “Short Business Connection” service, which provides quick business access to all local and regional destinations with flight time up to 11/2 hours. Link + fleet consists of newly delivered Diamond DA42 Twin Star planes. These advanced machines provide ultimate and affordable levels of efficiency, speed and comfort, linking and easing the people to enjoy their own time. Avio Delta offers various programs to join both Link + and Jet + services by implementing direct subscriptions, pre-sale of flight time, slot bookings, aircraft acquisition and co-partnership, including aircraft sales, consultancy and management. Contact our team, we are here to give your own private flight solution.